Yahoo Sports will break down the top 12 leagues for the upcoming college basketball season working backward from No. 12 to No. 1. Here's a look at our No. 9 league, the Atlantic 10. In Shaka Smart's first four seasons at VCU, he has averaged nearly 28 wins per year, won six NCAA tournament games and reached the school's first Final Four. Therefore it's a pretty big compliment to this season's Rams that many believe they could be Smart's best team. A VCU program known for wearing opponents down with its relentless full-court pressure defense will boast a roster even deeper than previous years. Six-foot-9 senior Juvonte Reddic and 6-foot-5 junior Treveon Graham are the two most potent scorers, but the Rams' greatest strength may be their versatility. If Smart wants to go big to match up with an opponent with interior size and strength, he can start 6-foot-8 Florida State transfer Terrance Shannon alongside Reddic and slide Graham to the wing where he can overpower smaller defenders. If Smart wants to go small against an opponent susceptible to VCU's quickness, he can play a four-out, one-in look with promising redshirt freshman Jordan Burgess at wing and Graham moving to Shannon's spot. The arrival of Shannon and 6-foot-6, 260-pound freshman Mo Alie-Cox gives VCU a better chance to match up with teams who bullied them in the paint last season, but the Rams still have some concerns. Chief among them is at point guard, where Briante Weber will have to provide the same court vision, leadership and steadying influence that graduated senior Darius Theus delivered last season. If either suspect point guard play or unproven outside shooting hampers VCU, the team most capable of taking advantage is the same one that outclassed the Rams a year ago. 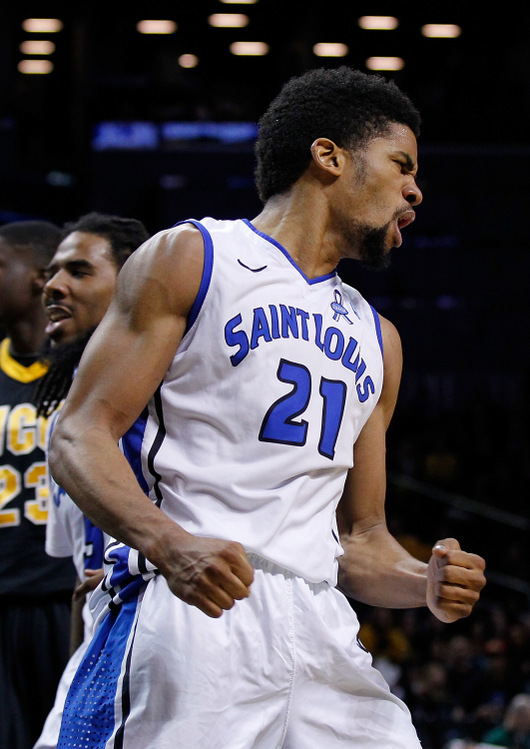 Defending Atlantic 10 regular season and tournament champion Saint Louis returns four starters from last year's 28-win squad including conference player of the year candidate Dwayne Evans. A versatile forward with the strength to defend bigger players but the quickness to out-maneuver them, Evans averaged 21.7 points and 9.3 rebounds in the Atlantic 10 tournament last season. Evans and fellow veterans Rob Loe and Grandy Glaze give Saint Louis a strong frontcourt and Jordair Jett provides slashing and defense at shooting guard, but the key to the Billikens' season may be how well Mike McCall Jr. can step in for team leader Kwamain Mitchell at point guard. The two dark horses with the best chance to eclipse VCU and Saint Louis are La Salle and UMass. All-conference candidate Tyreek Duren and streaky Tyrone Garland spearhead a backcourt capable of leading the Explorers back to the NCAA tournament and giving them a chance to duplicate last March's surprise Sweet 16 run. UMass benefits from the return of all-conference point guard Chaz Williams, the arrival of Western Kentucky transfer Derrick Gordon and the long-awaited good health of potential breakout candidate Cady Lalanne. Plus the Minutemen have the most favorable league schedule, drawing VCU, Saint Louis and La Salle once apiece, all at home. It would be a shock if anyone outside the foursome of VCU, Saint Louis, La Salle and UMass challenged for the league title, but a handful of other teams could contend for an NCAA bid. St. Joseph's has a strong inside-outside duo in Langston Galloway and Ronald Roberts, George Mason returns virtually its entire rotation intact from its final year in the CAA and Rhode Island could make a big leap if its newcomers contribute immediately. Best shooter: Langston Galloway, St. Joseph's. Though Galloway's 3-point shooting percentage dipped from 46.6 percent as a sophomore to 39.4 percent as a junior, he's still as deadly a perimeter marksman as the Atlantic 10 has next season. The 1,000-point scorer will be counted on to shoulder a greater scoring load this season as the perimeter complement to forward Ronald Roberts. Best playmaker: Chaz Williams, UMass. The Atlantic 10 player of the year candidate tallied 15.5 points and a league-best 7.3 assists per game as a junior and was very difficult to keep out of the lane. He worked to improve his outside shooting over the offseason, a scary thought for opposing defenders who may no longer be able to go under ball screens in an effort to keep him from attacking the rim. Best defender: Briante Weber, VCU. St. Louis guard Jordair Jett is also excellent defensively, but there may not be a better ball-hawking perimeter defender in the country than Weber. The long-armed, quick-footed 6-foot-2 junior averaged 2.76 steals per game last season as one of the catalysts to VCU's swarming "Havoc" defense, fifth-most among all players nationally. His challenge this year will be defending at the same level while not committing so many risky reach-in fouls since VCU will need him on the floor as its primary point guard. 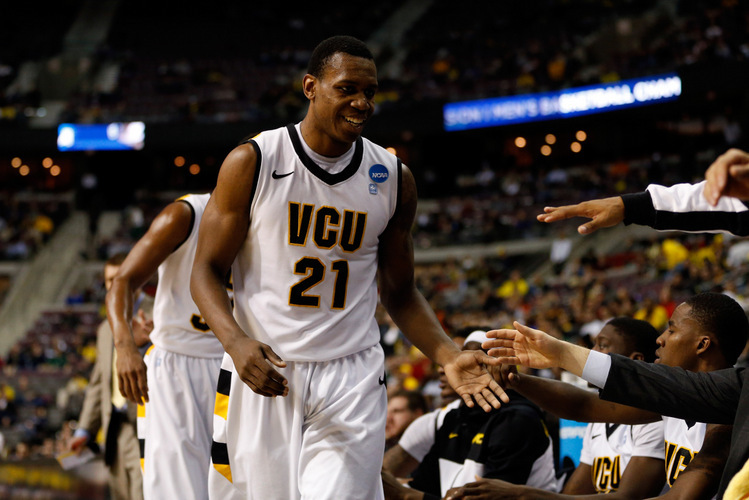 Best NBA prospect: Juvonte Reddic, VCU. The first-team all-conference big man improved dramatically as a junior, averaging 14.6 points and 8.1 rebounds as the lone interior threat for the Rams. His length, athleticism, motor and inside-outside scoring ability are intriguing to NBA scouts, but he needs to get stronger and become more effective defensively to have any hope of cracking the first round of next June's loaded draft. Best backcourt: La Salle. Even though the Explorers must replace Ramon Galloway's 17.2 points per game, plenty of perimeter talent remains on a guard-oriented roster. The catalyst for La Salle's attack is the creativity and driving ability of point guard Tyreek Duren, who will likely assume an even greater role now that Galloway is gone. Tyrone Garland is a streaky scorer whose floater with two seconds left pushed La Salle into the Sweet 16 last year, while senior Sam Mills is a three-point shooter and defensive specialist. Best frontcourt: Saint Louis. 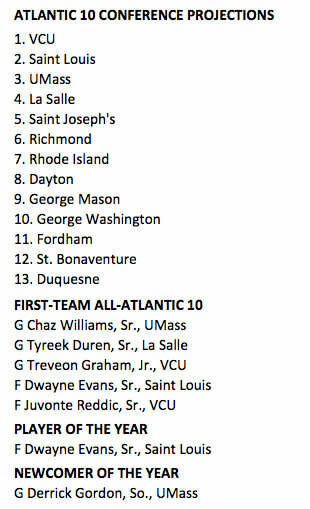 From Juvonte Reddic, to Ronald Roberts, to Isaiah Armwood, there are lots of good big men in the Atlantic 10 this year. Saint Louis, however, has the best interior depth of any team in the league. Forward Dwayne Evans is a crafty scorer, 6-foot-11 Rob Loe is deadly from the perimeter, forward Grandy Glaze provides toughness and muscle and center John Manning is a capable rim protector. Best recruiting class: VCU. Not only will the Rams contend in the Atlantic 10 this season, they're primed to stay near the top for years to come. The 2013 class is highlighted by high-scoring point guard JeQuan Lewis, who could push Weber for playing time this season if he proves sound defensively. Guard Jairus Lyles also could make an impact off the bench this season and guard Doug Brooks is a defensive standout who will fit well in VCU's system. Coach on the rise: Dan Hurley, Rhode Island. Having engineered a major turnaround in year two at Wagner in 2012, Hurley now appears poised to do something similar at Rhode Island. The shorthanded Rams lost 21 games in Hurley's first season, but the return of all-conference guard Xavier Munford and the arrival of Rutgers transfer Gilvydas Biruta and freshman guard E.C. Matthews has fostered optimism that Rhode Island could ascend to the upper half of the Atlantic 10 this winter. Coach on the hot seat: None of the Atlantic 10's coaches are in serious jeopardy of losing their job next spring, but there are several who will face criticism if this season goes awry. Though Derek Kellogg's job is almost certainly safe unless UMass regresses terribly, fans are clamoring for him to take the Minutemen to the NCAA tournament for the first time in his tenure after a pair of near-misses the past two seasons. Fordham fans also surely would love to see a few more wins after enduring 64 losses in Tom Pecora's first three seasons, but his recent recruiting successes have earned him more patience.